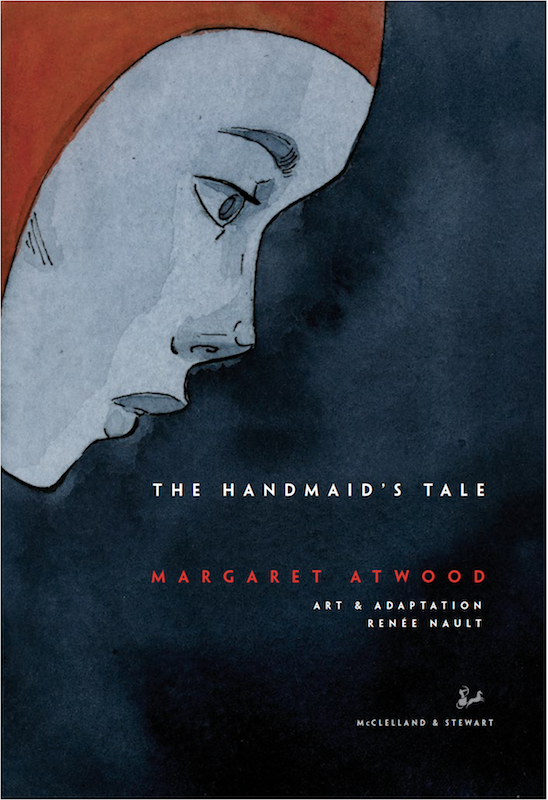 'The Handmaid's Tale' gets a gorgeous comic adaptation that manages to enhance the source material – AiPT! A pitch-perfect adaptation of Margaret Atwood’s work. A dystopian classic that has never felt more timely finally gets a graphic novel adaptation that lives up to the source material. There was a time in high school, I want to say it was my junior year, when we read a bunch of dystopian novels in English class. We could choose between the big three: 1984, Brave New World, and The Handmaid’s Tale. I ended up reading them all. It changed something in me, the first time I’d been confronted with the concept of a horrific future, grown out of mistakes made in our present. As a sheltered, privileged kid growing up in the suburbs, even one who regularly attended a Catholic Church, these books, these ideas blew my mind. The one that stuck with me the most was The Handmaid’s Tale. So much about it was captivating, but it was Margaret Atwood’s writing that truly captured and stuck with me, even years later. Both simple and poetic, Atwood painted such clear pictures with her words. I had specific images in my head of the Red Center, of Moira, of Serena Joy and The Commander, of Offred’s room with its simple decor and those forbidden words scratched into the door. So when the Hulu show came out, I had those images fighting against what I saw on the screen. I love the show, and I think it does an incredible job of taking the book and widening the lens. But I missed Atwood’s writing. Renee Nault’s gorgeous graphic adaptation uses Atwood’s words, bringing back the subtle changes that the show made. This is the Offred I remember, the Moira and the old and terrifying Serena Joy. Nault’s adaptation is also incredibly smart with its abridgment. She keeps the full shape of the story — it felt like she barely cut anything at all. But Nault’s gift is her powerful illustrations. She takes the shape of the Handmaid silhouette from the original novel cover and uses that to create a very different look for female garb for each type of woman. In her biography, Nault mentions that one of her inspirations is Japanese Ukiyo-e art, which also factors into those shapes and the way images flow throughout the book. Watercolor is the perfect choice for the art, which not only creates incredible textures in the panels, but also lets her play with the intensities of color, going from light and dreamy when Offred is remembering the time before or feeling docile, to an intense spattered red when talking about the new meaning of her period. For the most part, her illustrations are incredibly beautiful, which makes the awful moments, like the Ceremony even more stark and powerful. Renee Nault has taken her fellow Canadian’s work and put the visuals I had in my head all those years ago on paper. It’s brilliant and makes you appreciate Atwood’s words even more. Renee Nault has taken her fellow Canadian's work and put the visuals I had in my head all those years ago on paper. It's brilliant and makes you appreciate Atwood's words even more.